Yesterday, conjecture became reality. After many months of speculation that Jayson Werth would leave the Phillies when his contract expired, it became official when the Washington Nationals signed him to a mega-deal. Most everyone would agree that the terms of the contract widely exceeded expectations. Even the Nationals GM Mike Rizzo admitted as much by implying that the 7-year, $126 million deal had to be inflated to attract a high profile free agent due to the team's less than stellar track record. Beyond the obvious financial windfall benefiting Werth and his agent Scott Boras, all parties involved seem to lose at some level. Additionally, each will be subject to risks that will not be easily overcome. Although the Phillies abundance of remaining talent, headed by the Big Three, will still position them as strong contenders in 2011, the team is clearly worse off without Werth. It is apparent to most all observers that the club loses its one big right-handed power bat to break up its lefty sluggers. More peripherally, though, they lose the type of patient hitter that runs up pitch counts and on base percentage. In anticipation of "J-Dub's" exit, most pundits and fans have envisioned replacing him with a platoon scenario. Names such as Ben Francisco, John Mayberry Jr, Matt Diaz, and Jeff Francouer have surfaced to pair with left-handed rookie phenom Domonic Brown. Unfortunately, none of them possess Werth's combination of speed, range, arm, or gamer mentality-- let alone batting capabilities. Besides securing a five-tool player, the Nationals also lose on many fronts with this deal. Even if they can shrug off the scorn from most every other GM and team owner around baseball for raising the bar by handing a 31-year old player with a history of injury a seven-year contract at an average annual salary of $18 million, they still have issues. Should Werth's production start to fade as he moves out of his prime, their return on investment will nose dive. Or, even worse, if the injury bug returns, it could happen sooner. Part of Rizzo's rationale for overspending right now is that his club needed to acquire the type of centerpiece necessary to build a winner and signal to other players around the league that Washington has a bright future. This seems particularly risky considering that Werth never played that role in Philly. 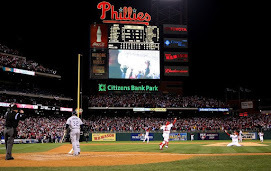 The free spirited right fielder resided more in the supporting cast behind big name stars such as Ryan Howard, Chase Utley, Jimmy Rollins, Roy Halladay, Roy Oswalt, Brad Lidge, and Cole Hamels. This is not to say that Werth is incapable of stepping up to be "The Man," but placing a nine figure bet on that happening makes a former round Philadelphia hoops star's gambling look like child's play. Lastly, the Nats have been accumulating some nice young talent, but still appear to be a year or two away from serious contention. The return of Stephen Strasburg from Tommy John surgery and the development of fellow phenom Bryce Harper seem to point to 2012 or 2013 as the season for Washington to emerge from the bottom feeder depths. The signing of Werth does not quite align with that timeline. And, importantly, despite now being financially set for life, Werth loses a lot by inking this contract. The next seven years will likely never rival the fun and excitement that he experienced while in red pinstripes. It all starts with the chemistry in the clubhouse, created by a rare mix of talented, selfless, and winning ballplayers. The Phillies have the intangibles to go with the skills that translates into an enjoyable environment and ultimately success. As for today's Nats- not so much. When he steps out of the clubhouse onto the field, it is highly unlikely that Werth will experience the same electric atmosphere that was a constant throughout his stay in Philly. Philadelphia's NL-leading attendance last season was more than double the numbers in Washington. Nat's fans occupied 53.9 percent of the stadium each game, while Phillies fans over-stuffed Citizen's Bank Park at 103.5 percent of capacity. Perhaps an even more important difference can be found in the DNA of each set of fans. Let's just say that Washington fans don't exactly come to mind when terms like "passionate," "knowledgeable," and "vocal" are thrown around the baseball world— but are almost synonymous with those residing in the City of Brotherly Love. Werth's switch of red uniforms also brings a ramped up set of expectations and pressure. It remains to be seen how he will respond to it, but history suggests that those two elements often rob some of the joy of playing a kids game as your everyday occupation. Wrapped around all of this is the fact that the Phillies are still built to win now. No matter how much money is sitting in a bank account or portfolio, winning is always a lot more fun. Washington might have a bright future. But, if the Phillies can figure out how to patch the gaping hole left by his departure, it may be a tortuous couple years for Werth watching his former teammates strive for historic excellence. Some have reacted to Werth's contract with anger and disdain, incensed that he would choose money over winning. Although it is disappointing to see one of my favorite and most admired Phillies players leave town, it is virtually impossible to begrudge him accepting a deal the magnitude that was offered. If recent reports have been true, the Nationals offer was three or four years longer and $62-78 million greater than what Ruben Amaro extended to Werth. That goes way beyond the range of a hometown discount and vaults into the category of "an offer that can't be refused." Its sad, but true that Werth is no longer a Phillie and is now a National. 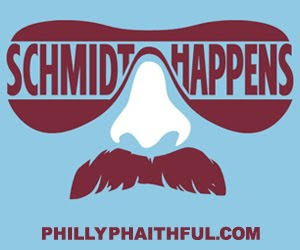 As a result, it will be a little bit less fun for Phillies fans when they head to the park next season. And, I suspect, the same will hold true for Werth— perhaps even more-so.